So, needless to say, I've been doing a whole lot of thinking about the literary/thematic notion of "character." Which begs the question: just exactly what the hell is "character"? Henry James around the time he wrote The Art of Fiction. "What is character but the determination of incident? And what is incident but the illumination of character?" Sounds a lot like Aristotle's definition of "plot," that it is "character revealed by action." Which makes sense, James being a product of his times and education. And gentlemen in 19th century America were hardly considered "educated" unless they had made a great study of the likes of Aristotle. "The core of character, experience tells me, lies in each individual story person's ability to care about something; to feel, implicitly or explicitly, that something is important." So Swain has a different take on it: rather than tying the question of what constitutes character to how it is revealed (through action), he posits that a literary character is defined and in ways constituted by what that character cares about, its "passion." Again, helpful, but also a bit out there. I needed something more....succinct and to the point. So who better to consult on this weighty issue than that most succinct of fiction writers, Ernest Hemingway? 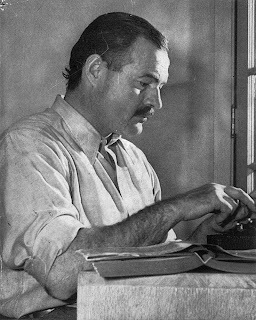 Hemingway around the time he wrote Death in the Afternoon. "When writing a novel a writer should create living people; people not characters. A character is a caricature. 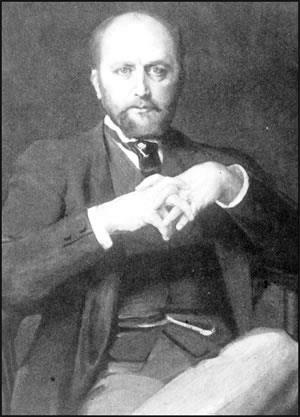 If a writer can make people live there may be no great characters in his book, but it is possible that his book will remain as a whole; as an entity; as a novel." Wow- kinda long-winded for Ol' Papa, there, huh? And believe it or not, I cut that quote off before it got out of hand. Our man Hemingway waved rhapsodic for several long sentences about why characters should not be "fake," but not really on how to keep them from being so. Since to him the point of fiction was to make it as "real" as possible, he even suggests that perhaps the true test of literary realism in a novel is how dull it is? I got news for Papa's ghost: I've read far too many "realistic" novels in that vein. As much as I love a whole passel of his work, I gotta disagree with him on that note. Plus, you know, his quote is really not exactly on point. So where to go next? I figured that if Hemingway couldn't get to the point of what "character" actually is, then perhaps his friend, rival and in many ways literary opposite, F. Scott Fitzgerald, might be able to do the trick. I love Fitzgerald's writing. Elegaic, expansive, deeply personal– perhaps he would give me a comprehensive view of what exactly literary character is? 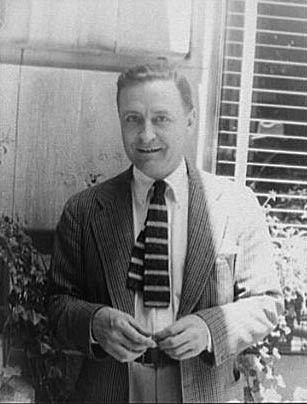 Fitzgerald around the time he began The Last Tycoon. Who knew there was actually a topic out there on which Fitzgerald was orders of magnitude more succinct than his terse pal and occasional drinking buddy (during their Paris days), Hemingway? But again, not all that helpful, and kind of harkens back to the beginning with Henry James/Aristotle. "Characters feel like real people. with a past, present, and future, uniquely varied in creative ways and revealed–as with real people–through the things they say and do." Thanks C.L.! Way to put it all together! If you'd like to read her complete blog post on this topic, you can find it here. And in fact I highly recommend checking out any number of other interesting topics in her blog, which can be found cataloged here. So there you have it, folks. My first step down the road to teaching a class on character: being able to speak intelligently as to what it actually is! So how about you? What is your succinct working definition of "Character"? Feel to chime in with a response in the comments section below! I appreciate the research and info in your column this AM. I don't have a literary definition of character to offer, but, to me, good characters in writing are the ones the reader feels are "real" people and remember as individuals after reading the work or works in which they appear. Make sure you really want to know what happens to them. I’m with Aristotle, James, and Fitzgerald on this one. Plot is characters, or real people if you prefer, in action. It is through plot that they do and say things to give them the feel of real people doing and saying things. Who Was That Masked Writer?